Today is June 21st 2018 the official start of the summer, are you planning on going on a research trip? 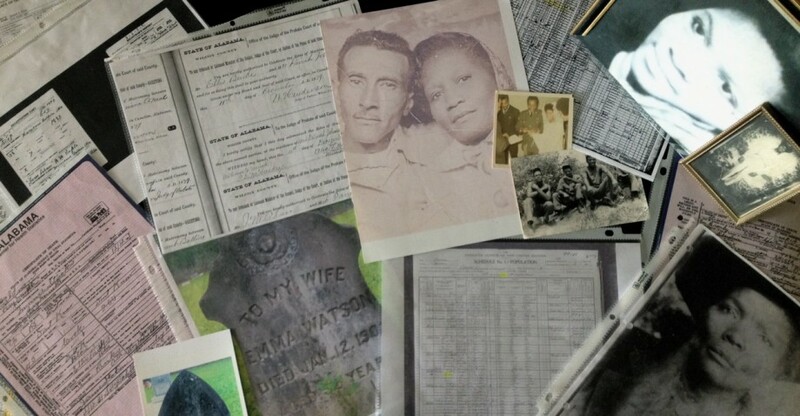 I think there is nothing like going to a repository and finding records or visiting a cemetery and being able to see and touch your ancestor’s headstone or interviewing an older relative. Below are some of my tips to help you prepare for your summer research trip. I decided to take a trip south while I had some time and on my way to Alabama I made a stop in Georgia and while I was there I reached out to three of my DNA cousins (discovered via ancestrydna). Garron, DeVan, and Octavia, I was so glad Garron and Octavia agreed to meet with me, DeVan and I actually met two years ago briefly but we stayed in touch. Garron, Octavia and Mia (my DNA cousin who I met in Birmingham) still don’t know our common ancestor(s). Garron and Octavia are on my maternal side while DeVan and Mia are on my paternal side, DeVan’s great grandfather and my great great grandfather were brothers. Mia and I have a couple surname names in common, Moorer and Snow, while Octavia and Garron share Camden, Wilcox County. Of course I would have loved to figured out how I was related to my other three DNA cousins but just meeting them was pretty cool, we bonded over our love for genealogy and getting to know our family. I didn’t have to grow up with them to consider them or call them my cousin. Are you planning a research trip this summer? Where are some of the places you are going? Have you set goals for your trip? I hope I plan to go down to Alabama and meet some relatives as well as do some research I haven’t created a research plan yet but I think is important to have some sort of a plan so you’re not wasting valuable research time.